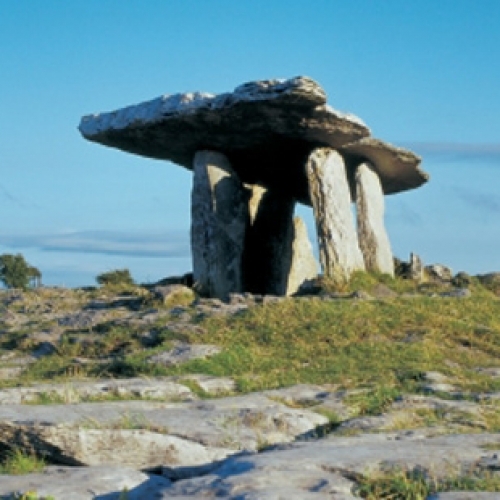 Discover Ireland in 2011 There’s No Better Time! Explore the back roads of Ireland, with its friendly people, stunning landscapes and musical tradition, as we travel along the wild Atlantic coast from Connemara to Killarney National Park via the Aran Islands. 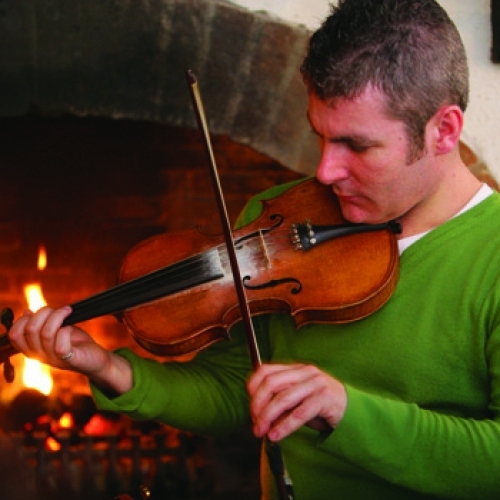 Experience the 'Real Ireland' as the hum of traditional music leads us though the wild west, from the spectacular beauty of Connemara, with its silent valleys, pristine fjords and fairy-tale castle, to the lonesome Aran Islands, where soft-hearted villages welcome us into their laid-back lives. 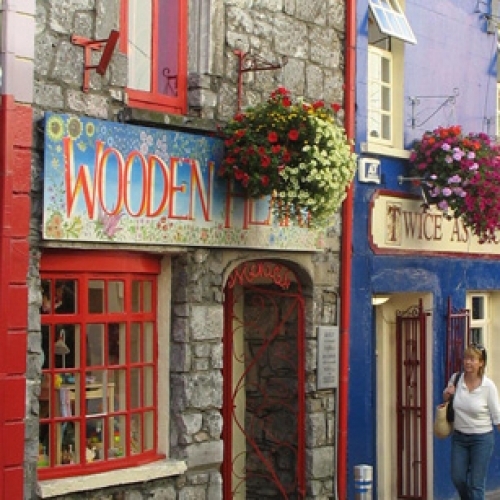 We'll revel in colourful Galway city, before wandering the tortured stone landscape of the Burren, speckled with a myriad of traditional villages and ancient ruins, to view Ireland's most spectacular Cliffs of Moher. The rugged Dingle Peninsula takes to us to 'the edge of the world', where we enjoy splendid walks and bike rides on the scenic Slea Headland, before seeking out traditional music in Dingle’s famed 'hidden pubs'. Our final day takes us into Killarney National Park, where we'll explore the lakeshore by foot, bike and kayak*. After a scrumptious picnic lunch, we'll set out from Ross castle by open boat across Killarney's magical lakes, to Lord Brandon's Cottage, where this fun-packed week comes to an end with a leisurely walk through the Gap of Dunloe and on to Kate Kearney's Cottage - a traditional old pub that marks the end of the track and our tour! This busy day, full of ever-changing landscapes, begins with a walk though the woods, into the picturesque village of Cong, with its historic Abbey. After our visit, we’ll explore and enjoy lunch in the heritage town of Westport, situated in the shadow of Ireland’s holy mountain - Croagh Patrick. 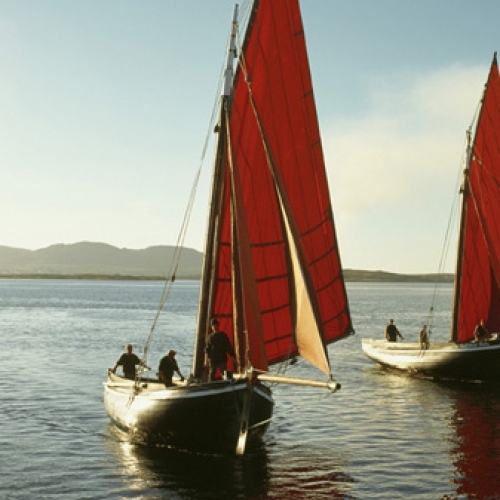 Afterwards, we head out along the shoreline of stunning Clew Bay, learning of the Pirate queen Gráinne Ní Mháille as we travel towards magnificent Connemara, with its dramatic valleys and magical landscapes. 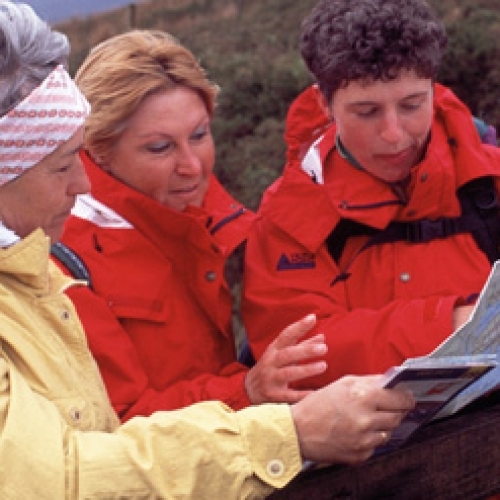 Here, you'll have the option to walk or pedal the stunningly desolate Doolough Valley, studded with dark lakes and overhanging waterfalls, on the way to Killary Fjord. We spend the remainder of the day with a visit to the Gothic fantasy of Kylemore Abbey, shimmering in its lakeside setting, where you can explore the magnificent castle, Gothic church and Victorian gardens. We begin our day with a visit to Ireland's only fjord, where you can either walk the ancient Famine track along the shore, or opt to kayak in its pristine waters. Following our activities, we’ll enjoy a scenic drive through the lonesome Inagh Valley (or, if you have the energy, it makes for a stunning cycle!) towards the south Connemara coastline, where we take to the waves for a boat ride out across Galway Bay to the magical Aran Islands. Unlike most tourists, we’ll spend the night on Inis Mor, immersed in the community of the island. As the tourist boat sets sail from the harbour in the late afternoon, we’ll explore the vast web of stone walls and ancient ruins on bike and foot, experiencing the timelessness of island life. Tonight, we’ll stay amongst the community, in local guest houses, and go in search of traditional music in one of Inis Mor’s three pubs. After our night experiencing the culture and traditions of 'Island life', we'll explore the history and terrain of this arid landscape on foot or bike, where our walking and cycling trails are bounded only by the shore. We visit Europe’s most impressive promontory fort, Dun Aengus, an ancient stone fort perched perilously on the 100ft towering cliff edge. 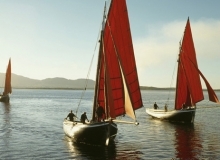 After lunch, we take to the waves again, heading back though Galway Bay to south Connemara, where we hug the scenic coastline, passing through colourful villages in the Connemara Gaeltacht as we go. 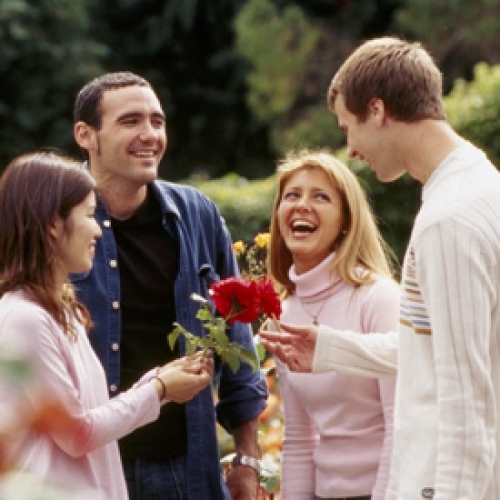 We’ll end our day with a walk or cycle along Galway’s famous Salthill Promenade, and through Claddagh Village into the bohemian city of Galway, with its many historic buildings, lively street entertainers and colourful pubs. 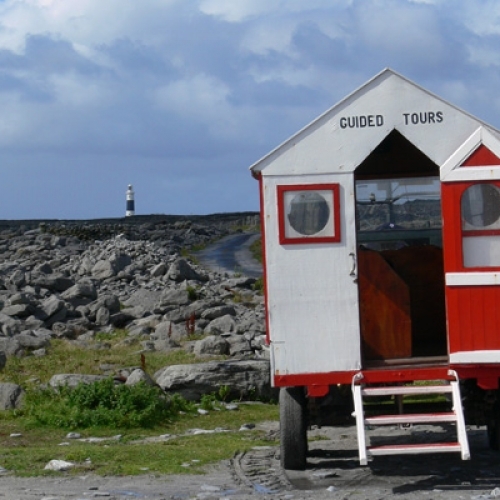 Departing Galway City, we take the scenic route along Galway Bay and into the wild and arid landscape of the Burren National Park, stopping in at Kinvara’s local farmer’s market en route. 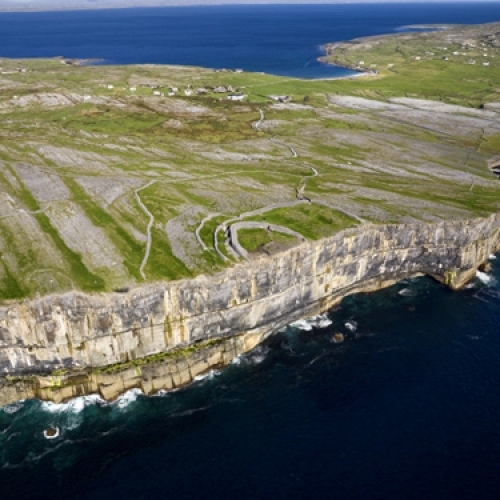 Cyclists have the option to cycle the Black Head Coastal Route to Doolin, whilst walkers can enjoy the stunning views out over Galway Bay, stepping along the Burren Way. 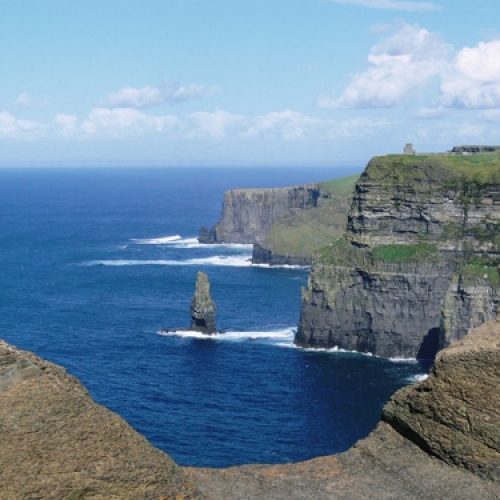 Meeting in Doolin for lunch provides the perfect opportunity to sample some fabulous Irish ‘pub-grub’ before visiting the Cliffs of Moher for a stroll along Ireland’s most spectacular cliffs, to enjoy the stunning views and teeming birdlife. The afternoon takes us though a myriad of Co. Clare’s small towns and villages, discovering Celtic crosses, deserted abbeys and ancient ruins as we go. Tonight, we stay in county Clare, home of traditional Irish music, where you can choose to mingle with the locals over creamy pints and traditional tunes or join us on an optional excursion to Bunratty Castle for a medieval banquet. The pretty, thatched cottages of Adare are our first stop today, before heading on to the Dingle Peninsula. 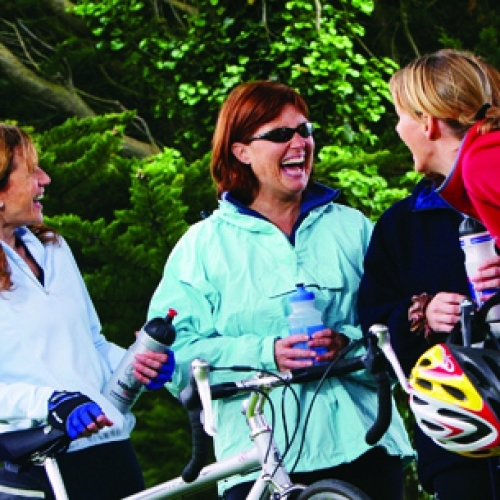 Keen cyclists can opt for a long, hard cycle up the Conor Pass, to be rewarded with amazing views out over the peninsula, whilst the remaining group will enjoy a scenic drive along the rugged Dingle Peninsula, with its wild mountains and some of the most spectacular coastal scenery Ireland can boast. In the afternoon, stunning walks and cycles take us out onto the most westerly point of Europe, Slea Head, where you'll view the famed Blasket Islands from across the Sound. 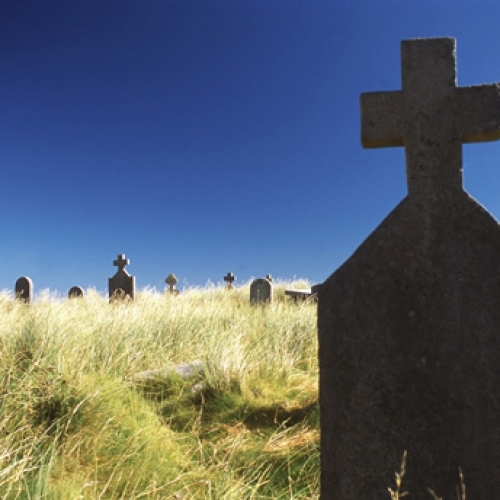 Today you’ll have the option to stop and take in numerous Celtic and Christian heritage sites along the way, or spend some time soaking up the atmosphere in charming Dingle Town. We stay on the Dingle Peninsula tonight, where you can seek out traditional music in its famed pubs. 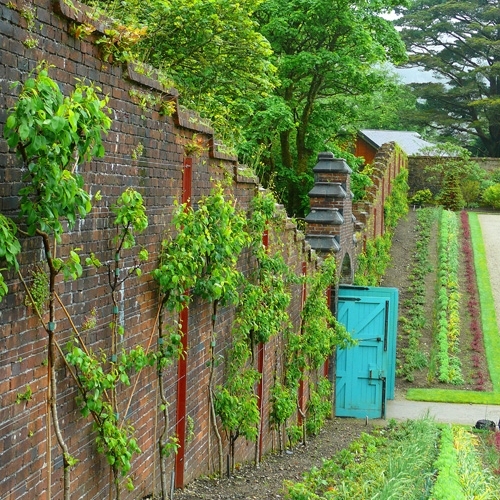 We begin this fun-packed day with a visit to Muckross Estate and Killarney National Park, where you can choose to walk or cycle the shores of Muckross Lake to Torc Waterfall or take an optional visit into the magnificent 19th century Muckross House. Alternatively, you can experience Killarney National Park from a different perspective, on an optional kayaking trip out onto its magical lakes. Following a scrumptious picnic lunch in the shadow of the 15th century Ross Castle, we begin our afternoon's adventures in open boats, crossing over the tranquil lakes to Lord Brandon’s Cottage. Once on dry land again, we'll enjoy a leisurely walk through the ruggedly beautiful Gap of Dunloe (approx. 7kms) to Kate Kearney's Cottage - a traditional pub that marks the trail’s end. We Include ~ No Hidden Extras! All our buses are fitted with drinking water tanks, to refill your water bottles, as well as a fruit basket and cookie jar to refuel along the way! Heaps of fun along the way! We Don't Include ~ Giving You The Choice! All of our tours are subject to a minimum amount of bookings - if you can see a green tick to show the tour is guaranteed to run, this means we have already met the minimum amount of bookings required.